Penn State Universiry is one of the higher learning institutions in the the United States offering online degree programs. Up until quite recently, most people still viewed online colleges as inferior to traditional brick and mortar learning institutions. These days, however, with top universities offering online degree programs and MOOCs, the stigma seems to be slowly fading and more and more people are opting for the flexibility of an online education. 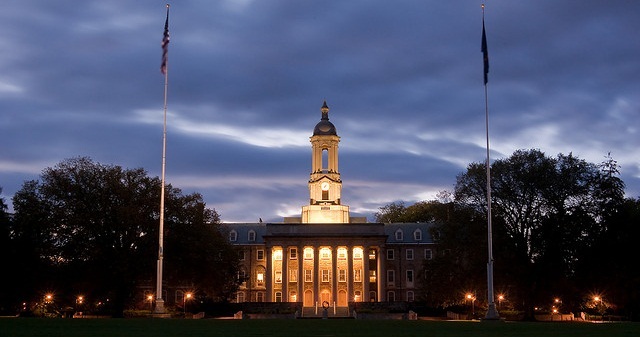 Penn State University is one of the higher learning institutions in the United States that have been leading the way in making quality online degree programs readily available. It has recently begun offering a host of new online degree programs and courses from master’s degrees in nursing to free courses covering everything from business to the arts. The advance of technology and the adaptive and accessible nature of the internet have also had a big impact on the trend of distance learning. In the past, a student following a distance learning course would have received course materials in the post and communicated with tutors via snail mail or at best, email. Today, though, there are a host of other possibilities for collaboration between tutors and students, from online forums and communities to instant messaging and webinars. Of course, one of the main reasons more students these days are opting to follow online degree programs is the cost factor. The total student loan debt in the US is now more than one trillion dollars; higher even than housing or credit card debt. A study by the National Center for Public Policy and Higher Education found that between 1982 and 2007, the cost of college fees and tuition had increased by 439%, while the median family income had risen only by 147%. The report also showed that over the last decade, student borrowing has more than doubled and students from low-income families are getting smaller college grants than their more affluent peers, making higher education almost unaffordable for some. Online colleges tend to cost significantly less than traditional ones because of the lowered cost of textbooks and the convenience of studying at home, which means no commute costs or the need to pay for room and board on campus. Additionally, many online colleges also offer the same financial aid options as traditional ones do, which makes it easier for students to fund their education. Along with the cost savings, online degree programs are often far more flexible than traditional programs, allowing students to complete the courses at their own pace and study when it suits them. This has given people who wouldn’t normally be able to attend university, like stay-at-home moms or those already in the workforce, easier access to higher education. Employers are also beginning to view online degrees as being on par with degrees obtained from brick and mortar universities. A survey carried out by Excelsior College and Zogby International found that 83% of CEOs and business owners were of the opinion that an online degree is just as credible as one earned through a traditional campus-based program. However, they did say they considered factors such as the accreditation of the college or university, the quality of its graduates and the name of the institution, which shows just how important it is to choose the right online learning institution. Of course, MOOCs are still new, and there is definitely still a lot of room for improvement. One of the main concerns about them at the moment is how universities offering credits for such courses will be able to determine whether or not a student is actually learning what the course is designed to teach.